Scott County’s students were invited to participate in a poster contest to help spread awareness of the value of recycling. We had over 150 entries for our K-5 age category and selected a winner from that category. Congratulations to our winner! To view the 2017 contest winners please click HERE. 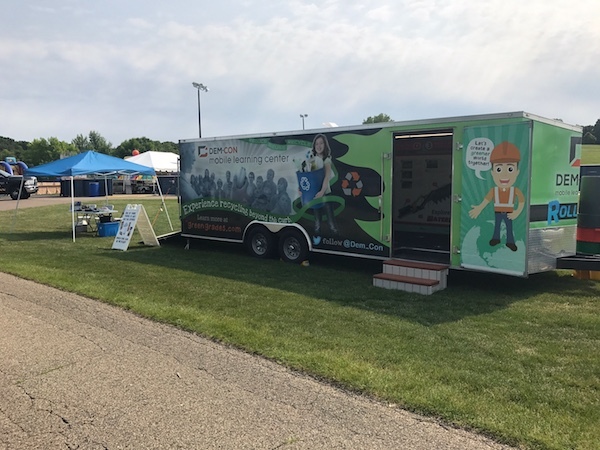 Dem-Con Green Grades was created with the goal of educating our future leaders on responsible waste processing and disposal. Community and environment define what we do and educating our children is essential. 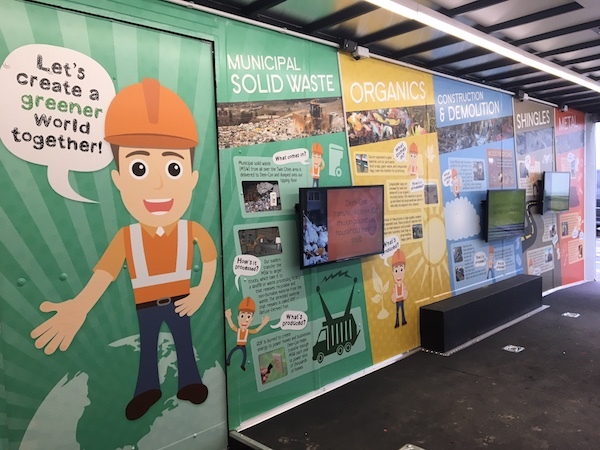 We believe every student should have the opportunity to see how solid waste is managed. For access to the full lesson plans and resources, free of charge, contact Jenny Potter at 952.224.7108. Click and drag an item to the lighted platform and watch a video on how that item was made. The best way to learn about our Green Grades program is to come experience it for yourself. Click the button below to schedule a tour. Alternatively, you can call us at 952-445-5755 or send us a direct email at info@dem-con.com. Tours must be scheduled ahead of time. Tour participants must be 8 years old or older. Looking to learn more about our Green Grades process? Fill out the form below, and we'll follow up with you! Can’t make it to our site? Contact us about our Mobile Education Center! 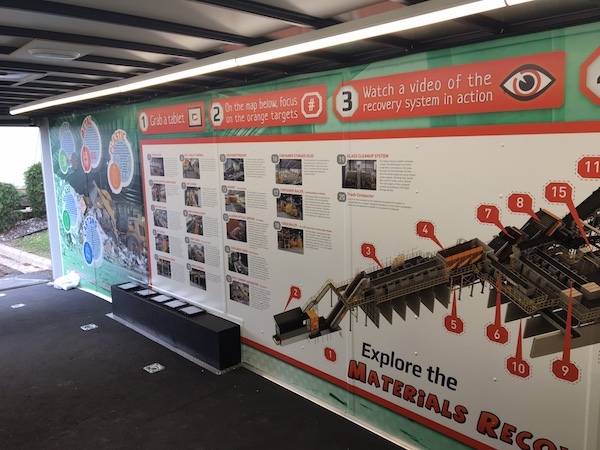 The Mobile Education Center gives students the unique opportunity to still see first hand how recycling happens at the MRF if you can’t make it to Dem-Con. 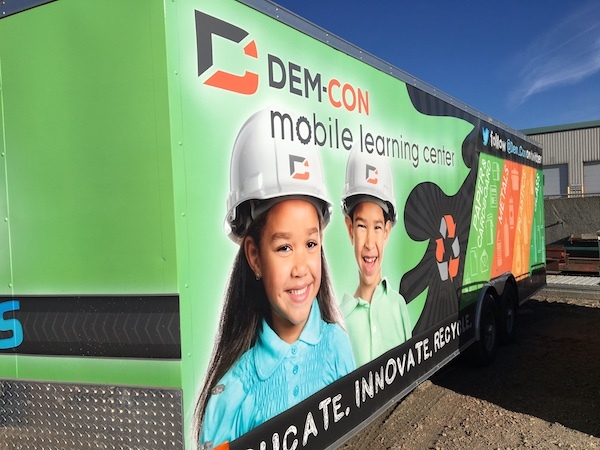 Contact us to learn more about the Mobile Education Center. Our Materials Recovery Site is located right by our main offices. Once you turn onto Dem-Con Drive, you will find the Materials Recovery building on the left. If all spots at the Recovery Site are full, we have overflow parking available in front of our company offices.